With Paramount gearing up to shoot a Snake Eyes-centered G.I. Joe spinoff film later this year, the studio utilized its panel at Cinema Con 2019 to tease fans with the possibility of a third entry in its main series. G.I. Joe 3 has been in the works at Paramount since the release of G.I. Joe: Retaliation, but lukewarm reviews and middling box office business has slowed down any serious momentum for the project. 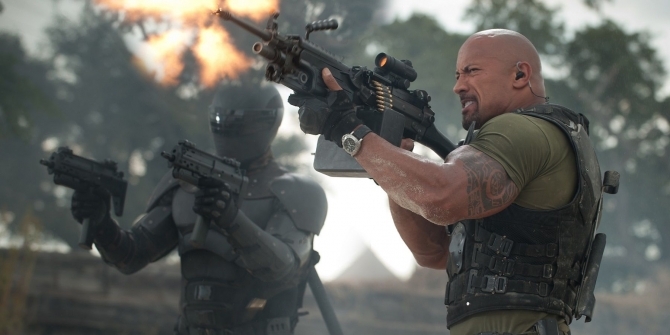 Dwayne Johnson was set to reprise his role as Roadblock in a proposed third film titled G.I. Joe: Vigilant, but it seems like he’s no longer attached. Instead, a new rumor from FullCircle suggests the Vigilant script has been retooled to focus on Philip “Chuckles” Provost, an undercover agent who must come out of hiding to take on COBRA’s latest threat, twins Tomax and Xamot and their time machine called the “Wheel of Time.” When the twins use the device to bring back incredibly dangerous weapons from the future, Chuckles must form a new team of Joes to take them down. 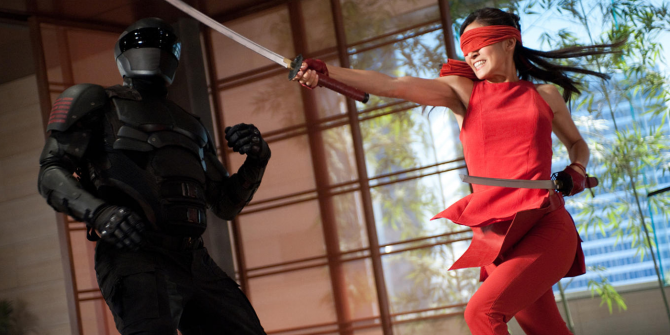 According to the rumor, fan-favorite characters Helix and Wild Bill will comprise Chuckles’ new team along with Snake Eyes and Jinx, returning players from the previous films, played by Ray Park and Élodie Yung, respectively. As for Chuckles, the studio is hoping to enter talks with Sebastian Stan, Tom Hiddleston or Alexander Skarsgard to lead the franchise from here on out. Though G.I. Joe: Retaliation was a lot of fun for many fans, Paramount and Hasbro haven’t really figured out how to turn the toy line into a viable film franchise. While the time-travel aspect of the latest entry sounds cool, a covert Joe who must form a new team to take down COBRA doesn’t seem too far off from the plot of the last one. The good news here though is that it sounds like Paramount isn’t shying away from all the silly gimmicks that make G.I. Joe so entertaining. We can expect to hear more about a possible G.I. Joe 3 as the Snake Eyes spinoff nears production this fall, so be sure to stay tuned.